Servicing Austin and surrounding areas, let Glover Logistics' team of freight and warehousing professionals work for you. Our customers know we’re not the biggest in the Austin area. But when it comes to customer service, they tell us we’re the best! Our 24x7 warehouse is clean, secure and spacious. 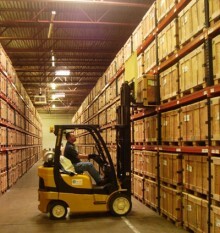 Glover Logistics offers several warehousing services. Our employees will provide you with storage, product distribution, pick and pack services along with inventory management. It’s the convenience of a full service warehouse at a fraction of the cost. The Glover Logistics team strives to make small service improvements every day. These incremental performance gains add up to better service for you. 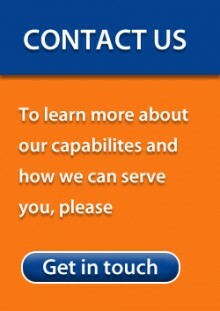 We know our clients appreciate this effort because they keep using our services again and again. Warehousing and Shipping All in One Place! Glover Logistics’ team in Austin strives to make warehousing and storage as simple as possible, and by providing on-time-delivery service with a guarantee like no other company, we deliver your package and or product on time or it’s Free, you don’t pay anything—Guaranteed!